May work with a generator of 7KVA output. 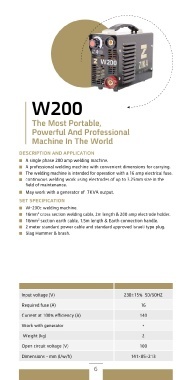 16mm2 cross section welding cable, 2m length & 200 amp electrode holder. 16mm2 section earth cable, 1.5m length & Earth connection handle.